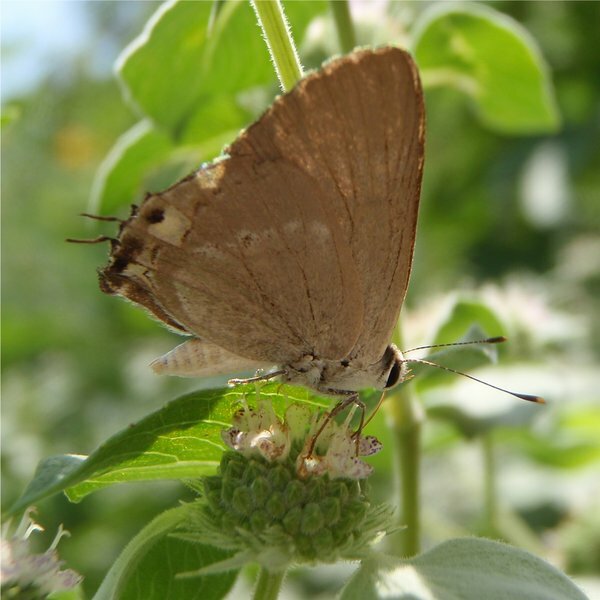 I am posting today to share a photo of an unusual hairstreak. There were many Juniper, Red-banded and Gray hairstreaks feeding on mountainmint… this particular individual seemed to have no color at all. It was not worn, in my opinion, but appeared to be naturally pale and colorless. I’d be interested in anyone’s thoughts on it. Incidentally, I saw no Sleepy Orange here.